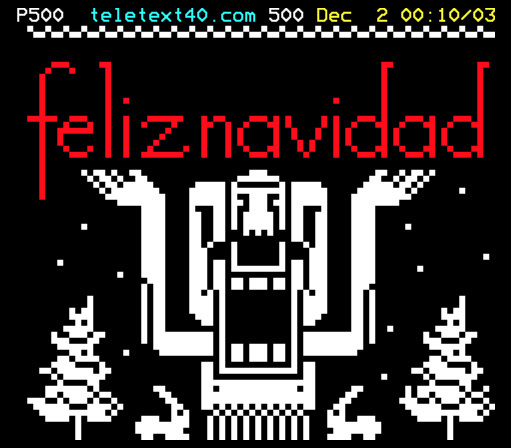 Ya es navidad en ‪‎Teletext40‬ !!! 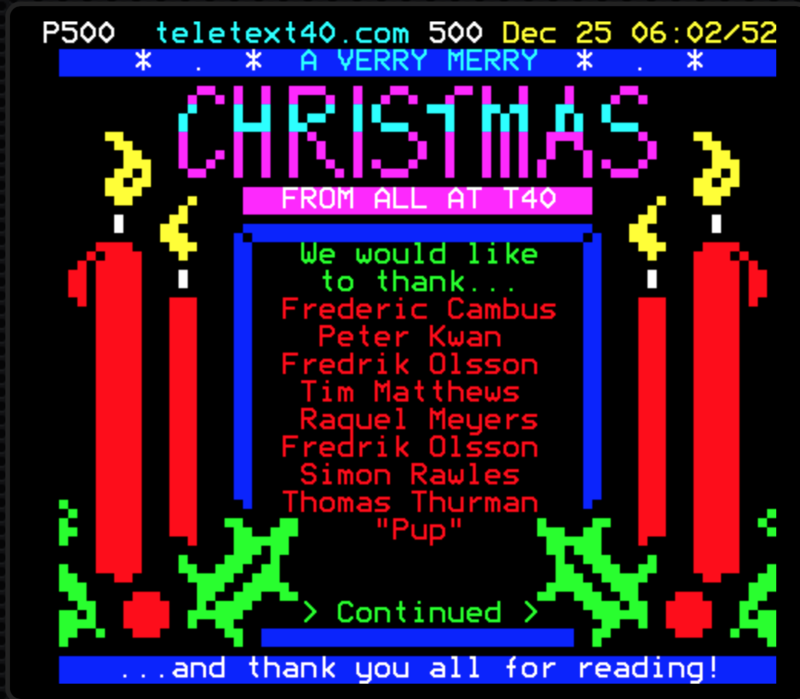 All I want 4 xmas is ‪#‎Teletext‬ !! With Dan Farrimond, Raquel Meyers, Frederic Cambus, Peter Kwan, Fredrik Olson, Tim Matthews, Simon Rawles, Thomas Thurman and “Pup”.